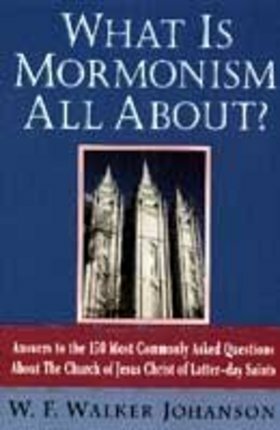 Organized in a simple and easy-to-read format, this book aims to answer dozens of common questions concerning the people, practices, history, and culture of the Mormon faith. 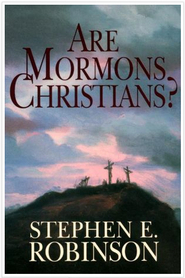 Are Mormons Christians? What is the Book of Mormon? How does Mormonism contrast with the world's other religions? What exactly do today's Mormons believe? The book offers readers of all backgrounds an accessible and informative Q&A session that covers all facets of The Church of Jesus Christ of Latter-day Saints. Although sometimes misunderstood, Mormonism is the fastest growing religion in the world. Johanson's clear and concise volume shows us the ideas, beliefs, and rites behind this faith. I read this book and just had to write a review because there were so many things I like about it! I think this is THE perfect book for giving to friends of other faiths, no matter how old. It isn't pushy or preachy. It is so clear and straighforward, not only with our beliefs but our practices, our history, our culture, our habits, bot serious and lighthearted questions - 150 things that your friends probably want to ask, but don't want the missionaries sent over just yet. The format is easy to read, question at the top, answer below. It's the type of book you can thumb through if all you have is a minute. Just read the questions that catch your eye, you don't have to sit down and read the whole thing - though you'll be SO intrigued you WILL read the whole thing! I recommend you buy some to have around to hand out. The author puts thing better than I ever could and has a sense of humor mixed in too. Check it out! This is the best missionary book yet!